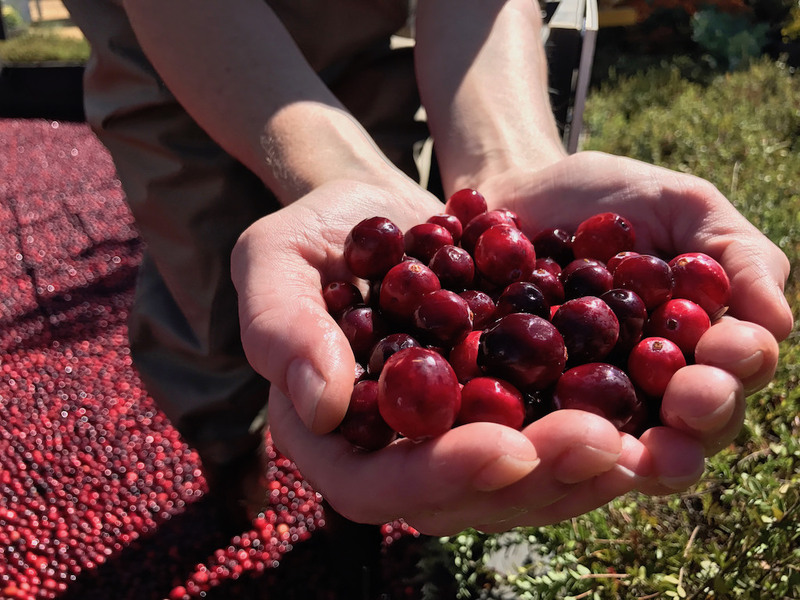 After seeing their crop pile up in cold storage facilities due to oversupply, cranberry growers in Washington, Oregon and other states are asking the federal government for help in balancing out the surplus as cranberry prices have fallen and remain below production costs. The US Department of Agriculture is considering a 25 percent reduction in the 2018 crop in an attempt to bring the supply of cranberries closer to demand. This move would come on the heels of a 15 percent reduction in 2017. Such a proposal would eliminate 2 million barrels or 100,000 tons of cranberries in 10 states, including Washington and Oregon, and would impact some 65 handlers and 1,100 growers, according to a report in the weekly agriculture publication Capital Press. The surplus is due to a dramatic increase in cranberry production against flat consumer demand that hasn’t budged even with lower retail prices. Surplus cranberry supply has more than doubled, going from 4.6 million barrels in 2011 to 9.9 million barrels in 2016, when farmers’ return on the crop dropped to $23.50 per barrel. At that time, the cost of production was $30 per barrel, according to the Capital Press report. The Cranberry Marketing Committee, a growers industry association which recommended the reduction, told the government in 2017 that growers are now producing more than twice as much as the market will bear and estimated last year’s surplus at 10.9 million barrels. That surplus amount leftover after sales is 115 percent of the yearly amount sold. A significant amount of the surplus is in the form of juice concentrate, a byproduct created when sweetened, dried cranberries are produced.